Source: Nielsen Inc., *City of Lancaster. Café con Leche Radio Talk Show is a bilingual, Spanish/English, community oriented radio program. Café Con Leche has been very effective in reaching the Latino community by being on the air Monday thru Friday from 7 to 9 AM. This is when listeners, consisting of those individuals going to work or school, and those getting their children ready for school, are listening to their radios. We also broadcast on the Internet during those hours and now we have a 24 hours/ 7 days programming. We offer information on local, state and national news, job availability, education, health, nutrition, finances, economy, immigration, and civic responsibilities. Listeners are also informed about the availability of social services, and any other issues that concern the Hispanic population, such as AB-60, DACA and DAPA. We give them a plethora of information to improve their quality of life and where they can learn how to deal with varied problems they deal with as individuals and as a community. Café Con Leche’s mission is to help the Latino community pursue their education, and improve their standard of life. We are providing the most knowledgeable, reliable and useful radio information for the community while we build a reputation, among local business and government agencies, as the best way to reach customers. Café Con Leche Radio is the most effective way to inform and recruit the Latino community Through Café Con Leche, we can produce radio conferences reaching hundreds of people who cannot attend meetings because of work schedules. The radio station is located in Palmdale, California. KUTY, has a local coverage of over forty miles, going as far as, Lancaster, Acton, Littlerock, Pearblossom, Antelope Valley Acres, Rosamond, California City and Tehachapi. The daytime distant coverage includes Santa Clarita, Hesperia and Barstow. 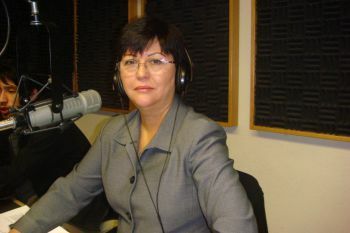 We also broadcast on the Internet at: www.web.cafeconlecheradio.com We are currently being heard all over the world, with many listeners in Mexico, Colombia, Brazil, Spain, France, Italy. Café Con Leche is a small Minority/Woman Owned business, certified as an eligible participant in the County of Los Angeles Community Business Enterprise (CBE) Program with a CBE Program ID #85308 MBE/WBE. I have not Been able to tune the station using an iPad. Is there an app I need to install?